The True Spring’s reverb effects are based on a mechanical design originated by the Hammond Organ Company™ in the late 1930s. 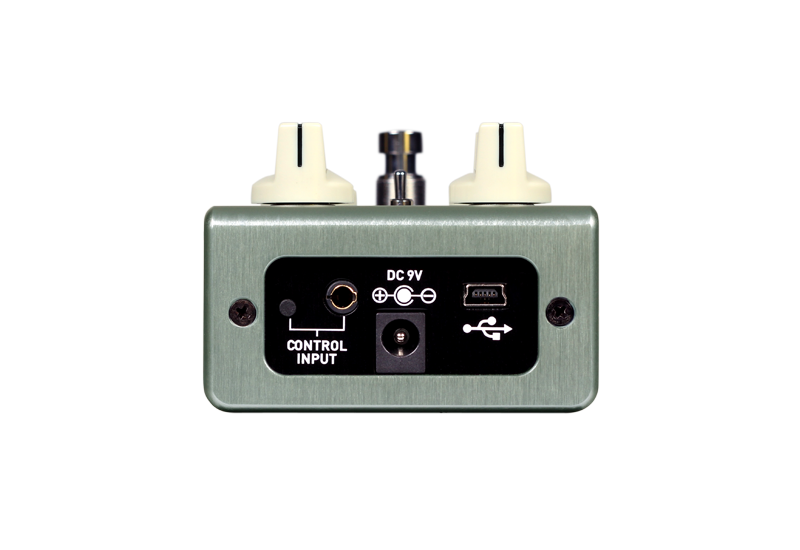 This stark design uses a pair of input and output transducers to inject an instrument’s dry signal into an actual set of spring coils and capture the very distinct reverberations as the sound bounces back and forth within the springs. Of course, Leo Fender adopted this design in the 1960s with the some of his "blackface" amplifiers and a revolution was born. Short Spring Reverb: Modeled after the unmistakable twang of "blackface" amplifiers of the 1960s. After extensive research we found tremendous diversity in the spring reverb sounds of a variety of amps. Some offered a tighter, less animated tone while others sounded “drippier,” with longer sustain and livelier reverb trails. 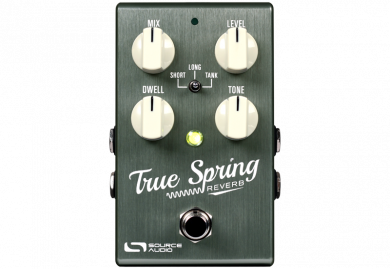 The SHORT Spring reverb engine offers a taut sound with a quick decay and smooth trails. 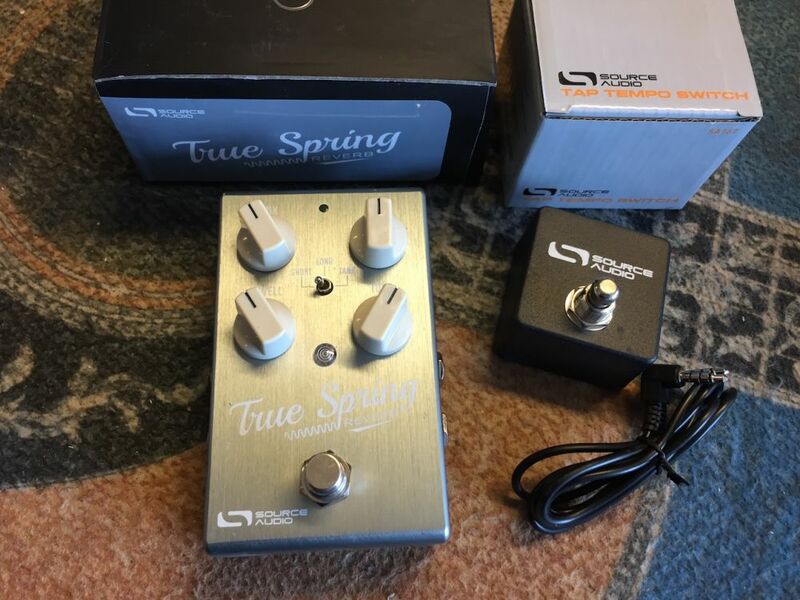 Long Spring Reverb: Produces long and deep reverb decays with noticeable “drip” and highly animated trails. The LONG Spring engine is not as dramatic as the TANK Reverb engine, but does offer an extremely authentic representation of some of the livelier reverb tanks found in vintage combo amps. Tank Spring Reverb (Outboard Spring): Captures the unmistakable effect of the tube driven outboard spring tanks of the 60s. The sound of reverb tanks like the classic Fender 6G15™ are characterized by their “drippy” attack and animated trail. This original two-spring design produces a bouncing, delay like sound inseparable from the early days of surf rock and spaghetti western soundtracks. Opto Tremolo: Optical tremolo (a.k.a. “Photocell Tremolo”) is the effect found in many combo amps of the 1960s. This version of tremolo relies upon a neon light bulb and a light dependent resistor called an "optocoupler." The non-symmetrical aspects of the light and the optocoupler give the tremolo a distinct choppy character. Harmonic Tremolo: This unique effect first appeared in Fender™ “brownface” amps made between 1959 and 1963, which alternately modulated the levels of bass and treble frequencies in the audio signal. The result is a very pleasing and complex tremolo that has characteristics reminiscent of a phaser. Bias Tremolo: This approach to tremolo involves using an LFO to modulate the bias voltage of the tubes in an amplifier. This essentially pushes the tubes in and out of saturation. The result is a smooth amplitude modulation with a mild overdrive created by the tube saturation.